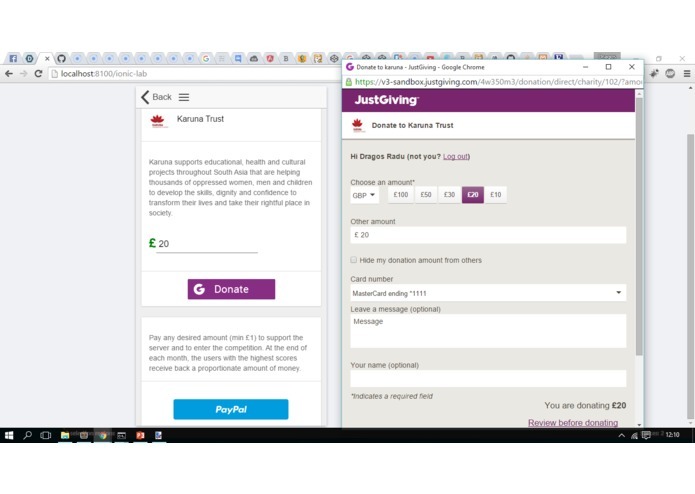 JustGiving API inspired us to make yet another project with greater good in mind. We had lots of bugs in Ionic. We plan to continue development and maybe release the app for Android and iOS. 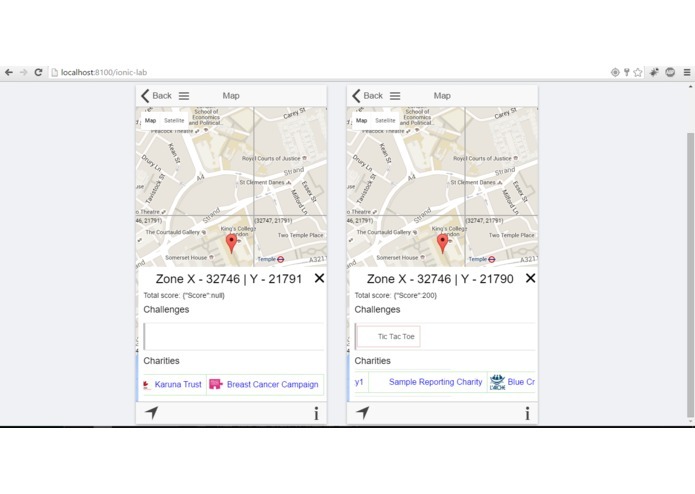 I built the front-end using Ionic framework, which is based on AngularJS. I also used CSS3 and HTML for styling. 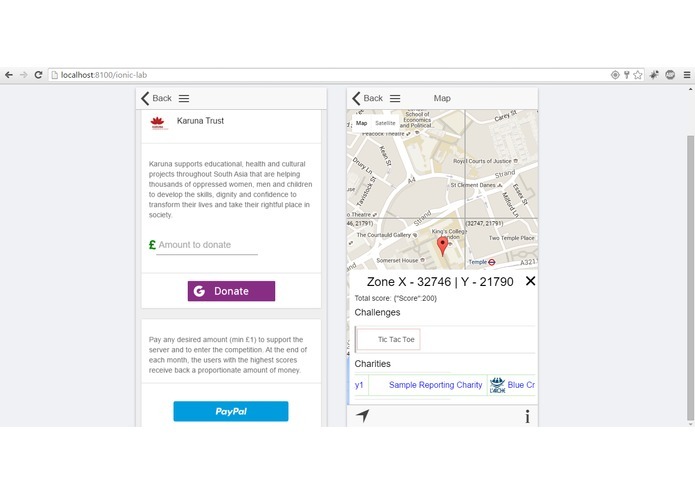 I integrated JustGiving API for donations, BrainTree (a PayPal company) for payments. Also, using Google Maps API for displaying the map.